Turn off the power to the dishwasher by flipping the circuit breaker. 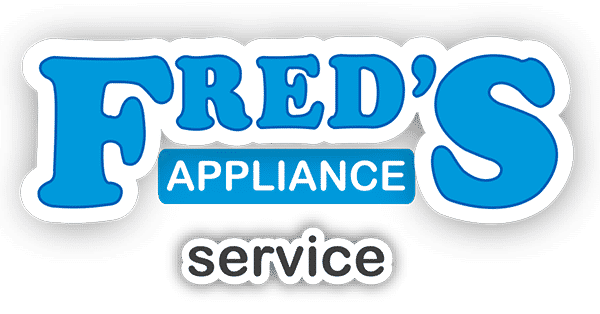 Even though you’re not modifying any electrical components, removing the power connection makes the procedure safer. Pull the rack forward and remove the track stops. Each stop has a small tab along the inside of the track that you can depress with your finger so the end pulls free. Remove the track ends from both sides. Remove the rack entirely and replace the wheels. The wheels are hooked over the wire side of the rack, so you just need to pull the mechanism to the side and twist it free. Take your replacement wheels and snap it into place with the locking mechanism over the wire rack. 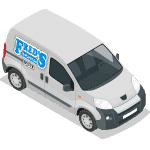 While the rack is out, check the other three sets of wheels for damage or to so if they’re out of alignment. Reinstall the rack. Pull the tracks all the way forward and make sure the wheels are all on the tracks and roll smoothly. If there’s any friction, the wheels aren’t fully on the track and will soon wear out or catch on the sharp metal. Snap the track ends back into place. Sometimes the tabs can rip free so now is also a good time to check both this rack’s tabs and the remainder in your dishwasher. 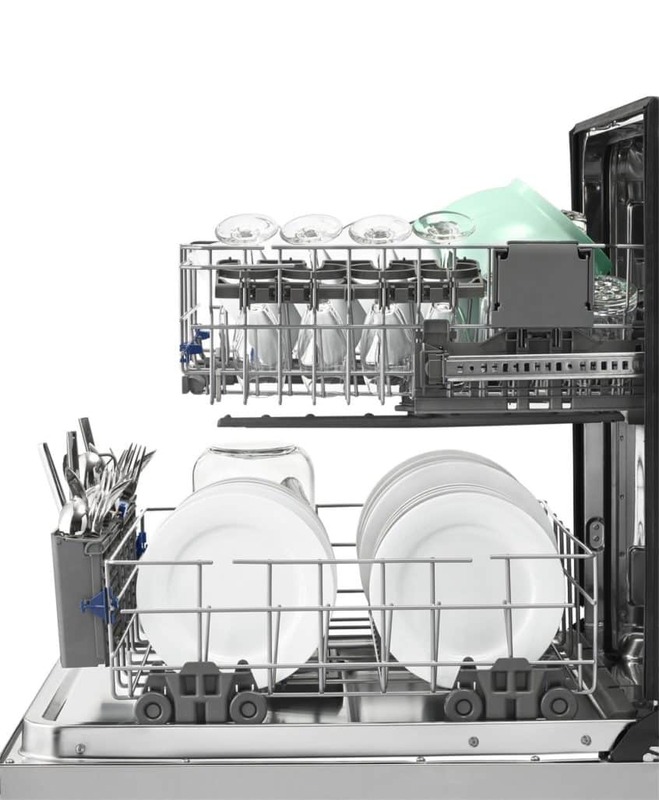 Replacing the track ends and wheels on dishwashers racks is one of the easiest repair tasks for dishwashers, but they’re also common because of the constant wear and tear. 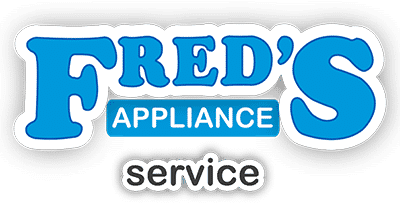 For more dishwasher repair guides, go to Fred’s Appliance Service.